Welcome to the November 24th edition of Tuesday Couch Potatoes, where we post about a movie each week. Last week, we featured movies about Presidents or Their First Families. 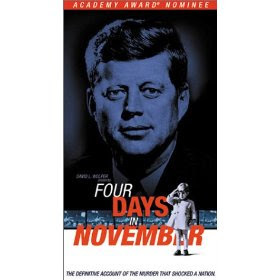 Seiko of Seiko's Diary, who almost didn't make it to last week's theme because she had a hard time remembering the title and even called long distance just to get the title, featured a very interesting film entitled Four Days in November. Head on to her site to find out what it's all about. This week, Animals Rule here on Tuesday Couch Potatoes. If you love animals, what they are capable of doing, how much they can touch humanity, and what they would have been thinking, then come jump in with us! 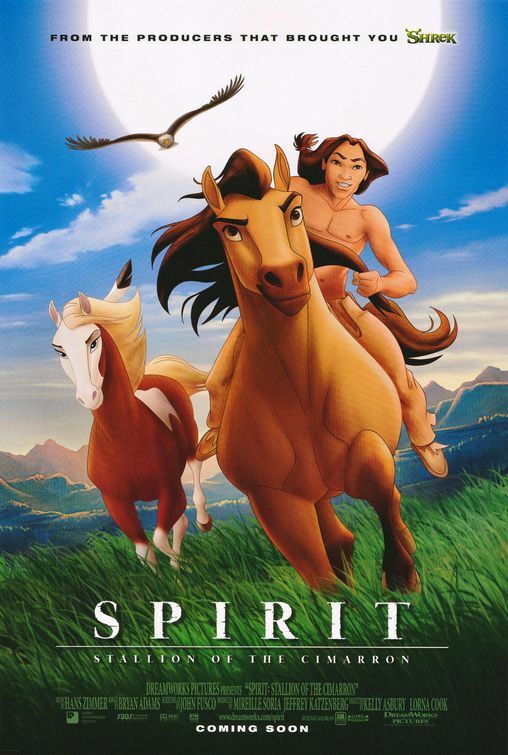 Today, I would like to feature the animated film from Dreamworks Pictures called Spirit: Stallion of the Cimarron. This movie holds a special place in my heart because this was one of the movies that Hanhan and I watched when he went home for the first time from Japan. This animated movie is different from the usual because here, the horses do not talk. They really "neigh" like normal horses do. And Spirit, the stallion who leads his herd was just beautiful. This movie talks about his journey: how his curiosity led him to be captured by the army, how his adventurous streak led him to befriend a Lakota American Indian, how he fell in love and how his responsibility and love for his herd always leads him back to his herd and to his mother, Esperanza. I love the symbolism of the soaring eagle shown at the beginning and end of the film. And the sound track, which was sung by Bryan Adams made the film a more memorable experience. What's your animal movie my dear Couchers? Come share it with us and enter a link to your TCP entry in the MckLinky below. And don't forget to visit the other entries, you just might find something very interesting and worth watching! Thank you for joining us this week. Next week, we will feature Superhero movies. Until then, take care and Happy TCP! another movie to check out! !my kids would love this!! Good morning mommy!Yesterday i posted my entry so early & when I was about to visit here wala pa akong nakita hehe kung late ako last week ang aga ko naman ngayon lol.Thanks for featuring this.We love this movie too so much & I can't help myself from falling in love w/ the sound track of this movie as well as the story. Hi sis, I love Spirit too.. It was my first movie in mind but I saw urs.. he he..
Grabe I have watched it many times , that my kid seems to be having the energy of spirit na when she was born. I haven't seen this one yet, kamz, ill watch it, looks like a nice movie. was here to check this week's theme, kaya lang close na MckLinky.na-late ako, kakabalik lang ng inet access ko.. I'll join na lang next week.